If you have avoided California Chardonnay in the past, come hither. It’s a new dawn, it’s a new day, it’s a new life for Chardonnay, and I’m feeling good! 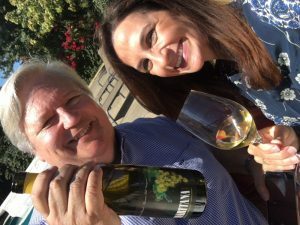 In this episode of Wine Oh TV, Monique Soltani shares a sip and gets the ABC’s of Chardonnay with Donald Patz. 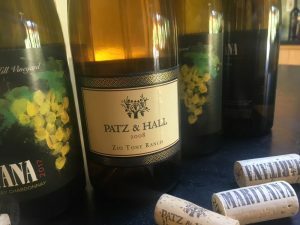 Patz says, the current trend of Chardonnay has changed. Back in the day there was a point where you couldn’t have too much oak. The oakier the better. But, today’s wine lovers want non oaky alternatives, they want fruit first and excellent acidity. One of the reasons we love chardonnay is that it’s super versatile, comes in a wide variety of styles, and is flexible with all kinds of different food. For the past 30 years, Donald Patz has seen his share of ups and downs in the wine world. He’s watched California’s most crushed grape (Chardonnay) come in and out of fashion. Today’s trends are more in line with his own. He has found a new home and a new wine label with wines coming out of the Russian River. Inaugural release. Pear, apple, citrus. Gentle background note of lees & barrel spice. Excellent acidity. Bright fully refreshing character. This is the name (meaning the River) for our blend of vineyards In 2017. It is about 55% (Dutton Ranch) Shop Block 1967; 42% Big River Vineyard; 3% (Dutton Ranch) Hansen Hill Vineyard Chardonnay and includes – Old Wente Clone from both Hansen Hill and Big River, Clone 04 from Big River and a combination of an old Massale selection and Dijon Clone 76 at Shop Block 1967. It is entirely barrel fermented in 90% once-used French Oak barrels and 10% new French Oak barrels – sur lies aged – 100% ML complete. The percentage of new oak for future vintages will probably be no more than 10%. The blend came together about two months ago and has really married in the barrel. There is a lot of pear, apple, citrus to go with a gentle background note of lees and barrel spice. It’s got excellent acidity and presents a bright fully refreshing character. NOT YET RELEASED. Anticipated in the Spring of 2019. Our mini-experiment at native yeast fermentation using six barrels of Shop Block 1967 vineyard juice was a resounding success. Those six native yeast barrels formed the core of this single vineyard designate wine along with four new French Oak barrels and two additionally selected barrels to round out this 300 case lot. The native yeast lot was so successful that there is no doubt it will become a major component of the 2018 vintage wines for Maritana Vineyards. Planted in 1967 to an unknown Massale selection of Chardonnay with a partial interplant in 1999 of Dijon Clone 76 the Shop Block 1967 from Dutton Ranch’s oldest vines pose an exciting opportunity to use produce a distinctive wine. This was fermented and aged in 66% once-used French Oak barrels and 34% – new French Oak barrels. In their 50th year of life these old vines dug deep into the soils at Shop Block to deliver a fabulous expression of Russian River Valley Chardonnay. At the same time both delicate and concentrated, aromatic and pure, rich and refreshing focusing more on the floral/mineral end of the spectrum rather than the tropical fruit end of Chardonnay. This is a hillside vineyard nearby the Shop Block 1967 site. Planted entirely to Old Wente clone Chardonnay and strictly farmed to the winery specifications this may be/probably is one of the absolute top Chardonnay sites in the Russian River Valley. We have a mere 1.8 acres of this amazing hillside under contract for Maritana Vineyards. We expect this tiny parcel to produce somewhere around 300-400 cases (2.5-3.0 tons per acre) per year. In 2017 we used 73% once- used French Oak barrels and 27% new French Oak barrels to ferment and age the Hansen Hill. It is opening slowly in barrel featuring great precision on the palate and shimmering kumquat and mango fruitiness. The small amount of new oak used refocuses the wine on its mineral and spring flower characters. Our experience with Chardonnay tells us that this wine will be quite long lived for a Russian River Valley Chardonnay possibly performing well in 10-15+ years if properly stored. 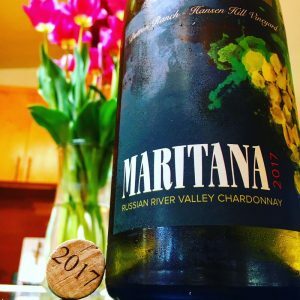 First Annual Maritana Vineyards Release Party! On this exclusive release day only, we will be showing all four of our 2017 vintage wines for MARITANA VINEYARDS. The first opportunity to sneak peek at the our ENTIRE vintage from the Russian River Valley. ONE DAY ONLY – all four wines will be available to taste and purchase. This special event includes a taste of two single vineyard Chardonnays grown on the Dutton Ranch and our Pinot Noir before they go back into the aging warehouse to await their official release date in the Spring of 2019. Three of the most luxurious items your palate can enjoy on a trip to wine country. Paired with Live Music, Friends and Fun. 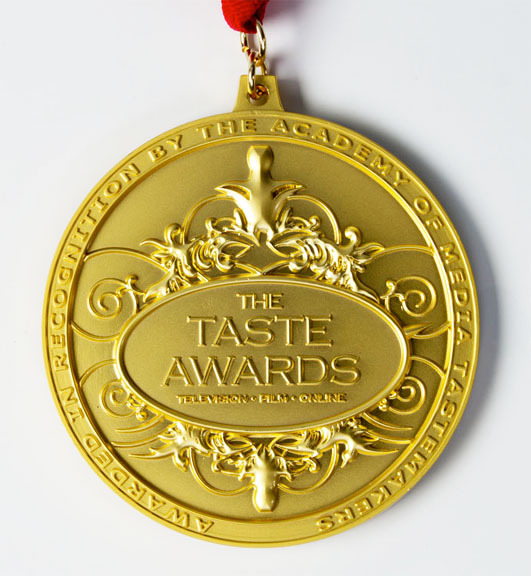 A Truly Elevated Experience by Maritana Vineyards.​ At just $25 per person, guests will enjoy full access. Reserve your tickets for September 22nd before they sell out. Enjoy wine, food and friends at our exclusive event.